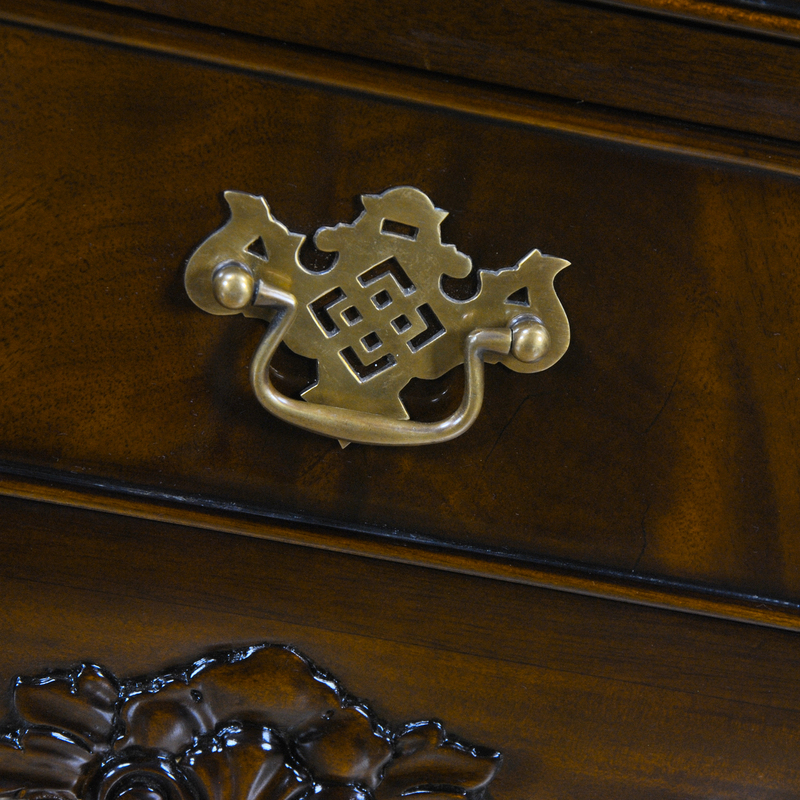 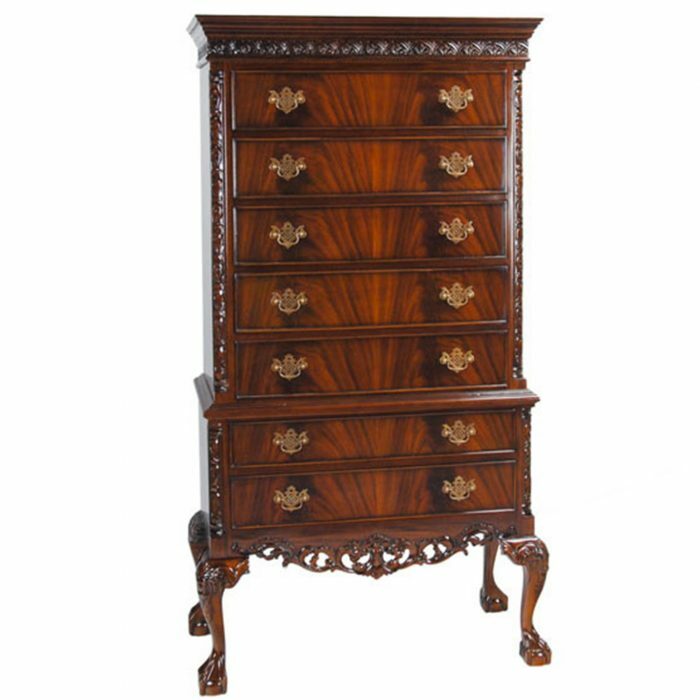 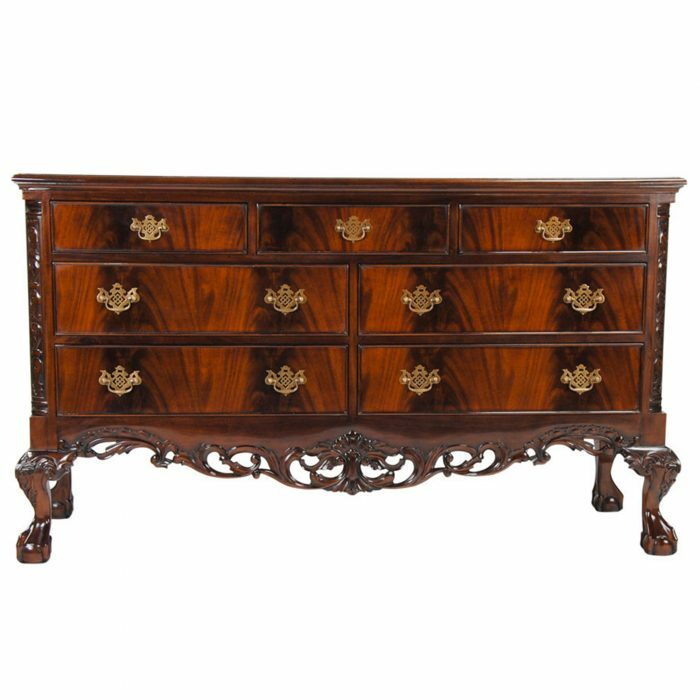 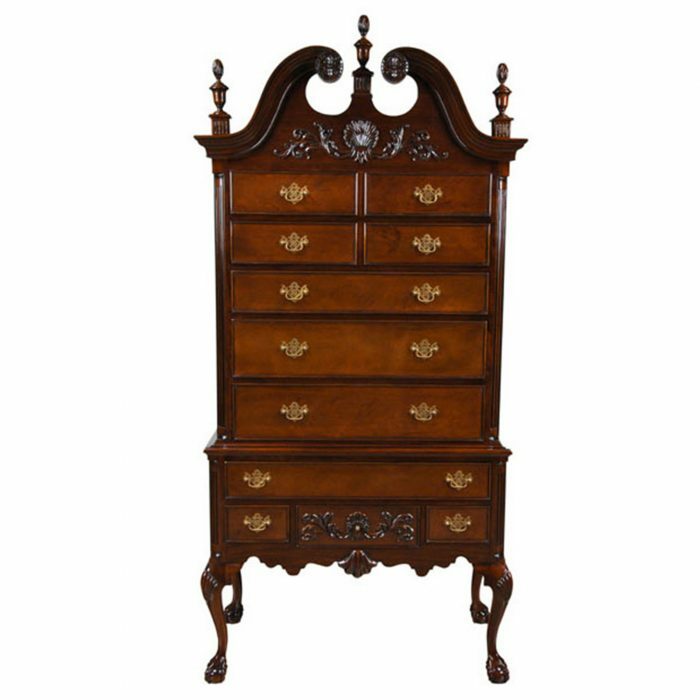 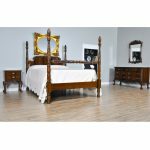 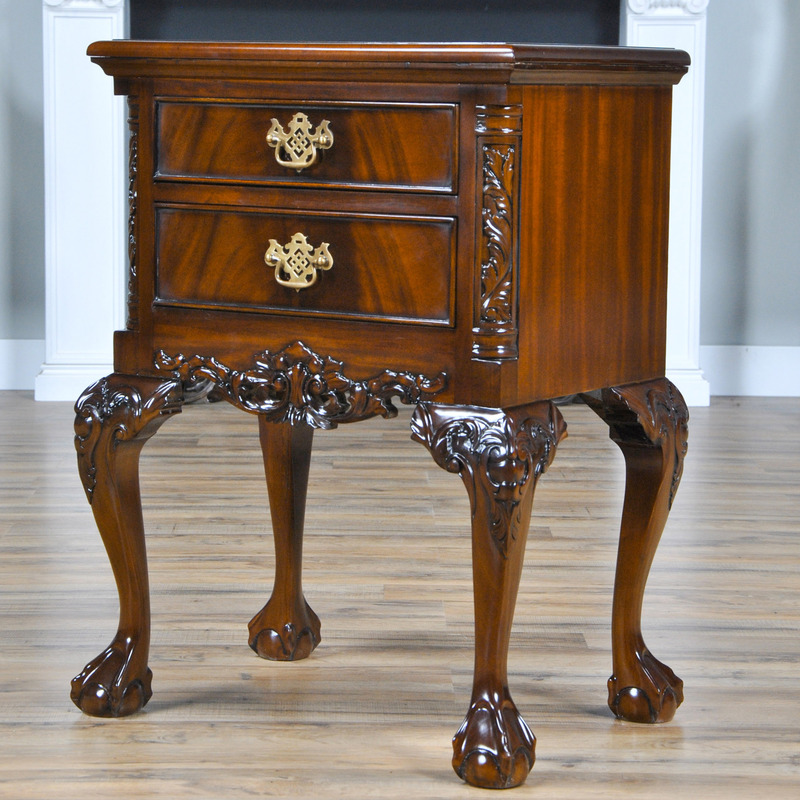 A Chippendale Mahogany Night Stand Niagara Furniture featuring fine quality veneered drawer fronts, solid mahogany cabriole legs and dovetailed drawers. 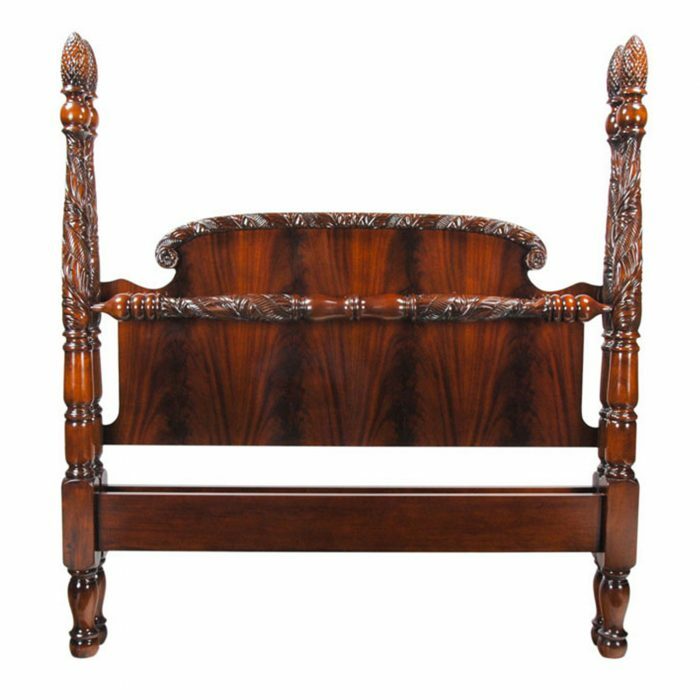 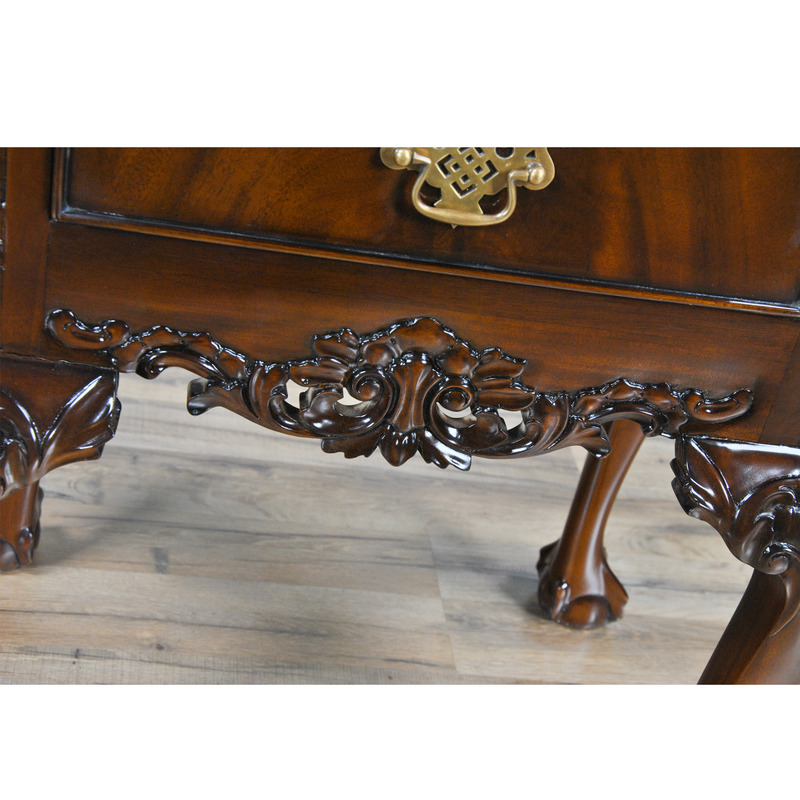 Each leg and carving detail done meticulously by hand using traditional carving techniques. 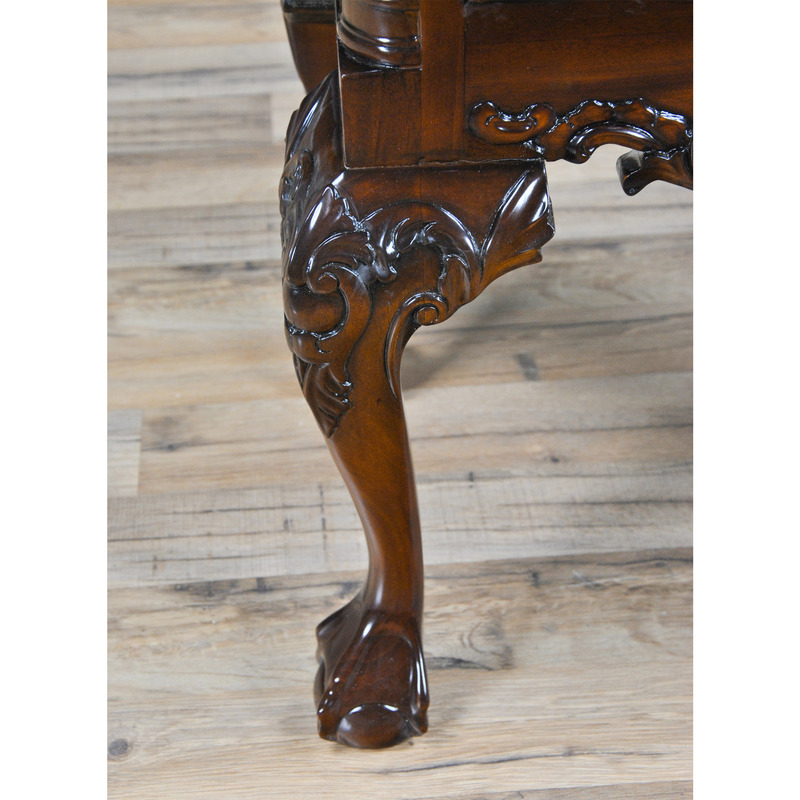 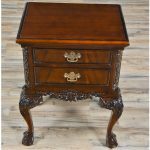 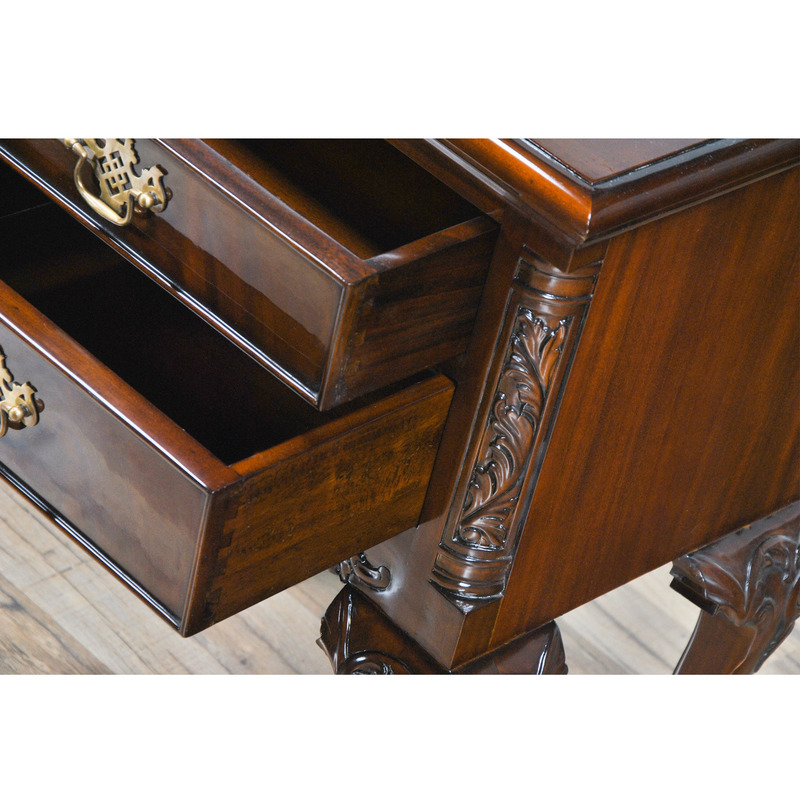 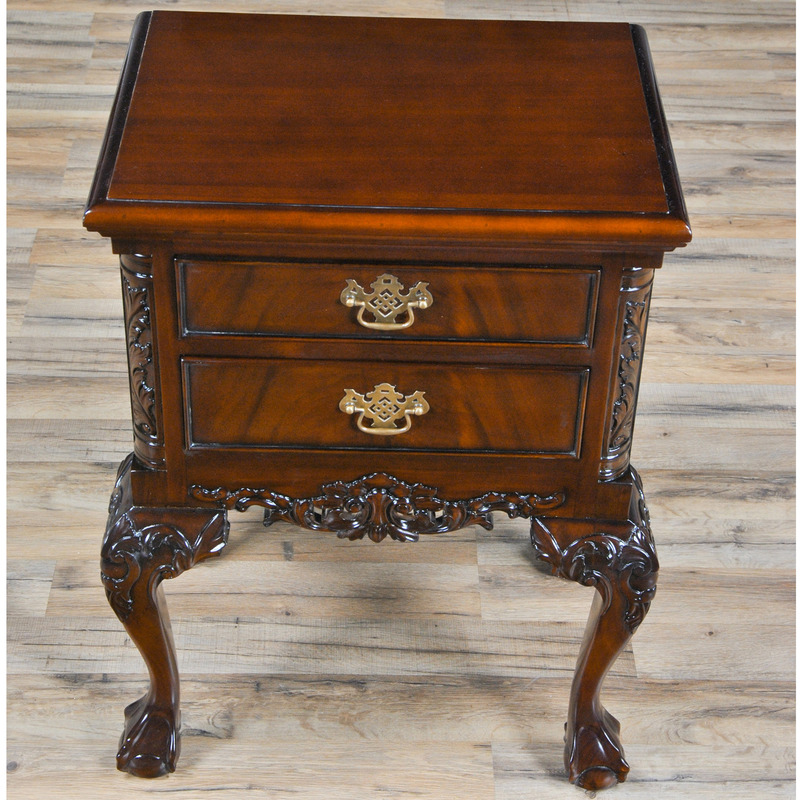 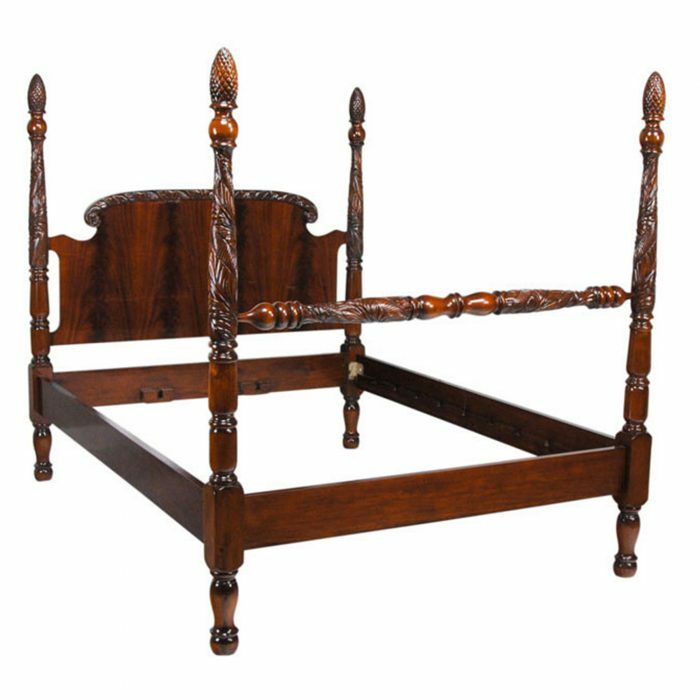 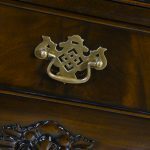 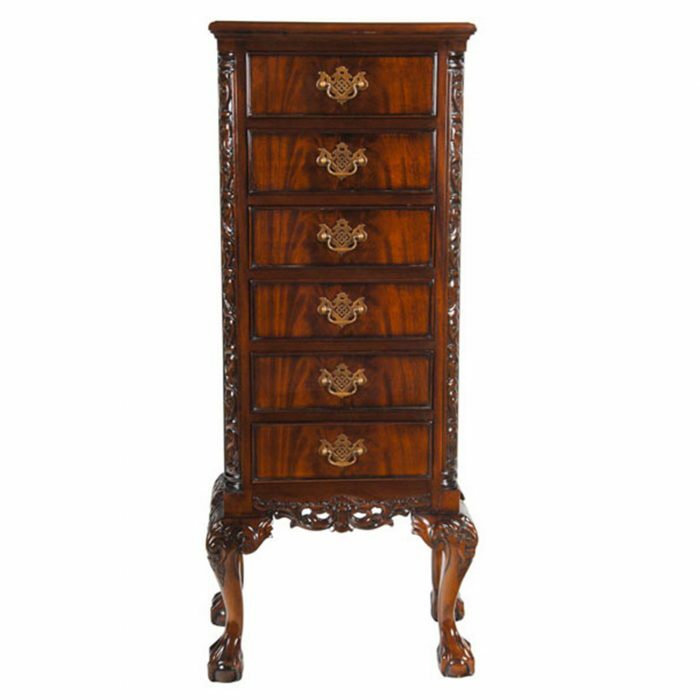 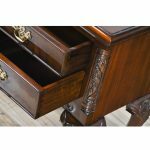 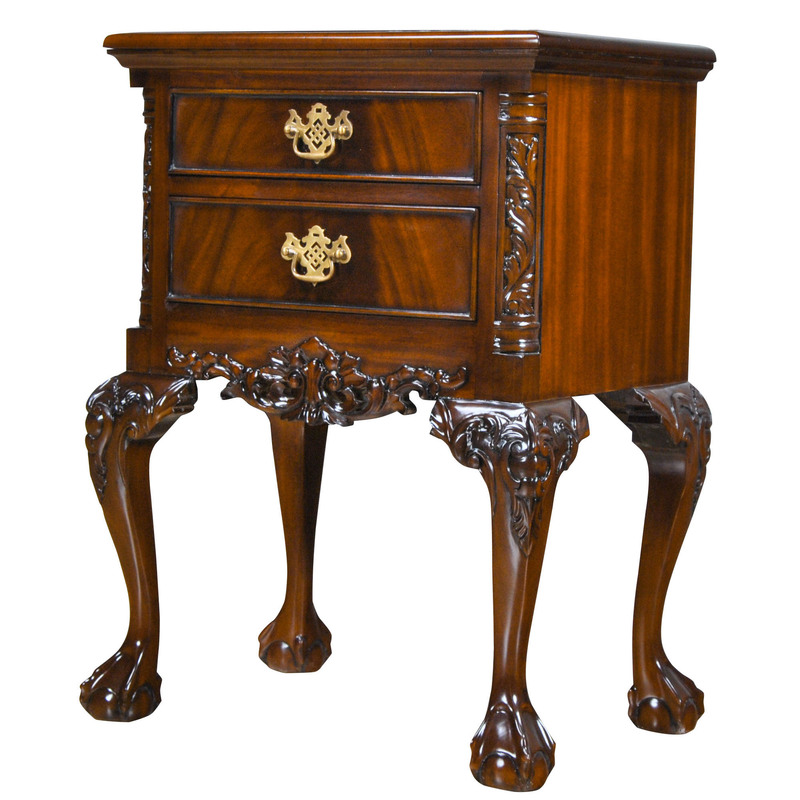 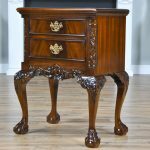 Suitable for use in any space this Mahogany Ball and Claw Night Stand was originally designed for use with pieces shown in the “related products” section below but can also be used as either an end table in the living room or as a side table in the home office.